What Causes High Alkalinity in Water? What Is the Solubility of Sucrose? What Is Sodium Acetate Trihydrate? D.I. water is deionized water, or demineralized water. It is essentially water without the minerals, or as close to no minerals as is possible, normally found in a typical water supply. To determine the pH of D.I. water, it is necessary to conduct a test using the pH scale, which measures whether or not a substance is an acid, a base or neutral. That test will produce a score from 1 to 14. Deionized water is free of ions, which are charged molecules or atoms that occur naturally in water. The presence of ions can affect the pH of water, making it more basic or acidic. The deionization process involves sending water through ion exchange resins that remove mineral salts. 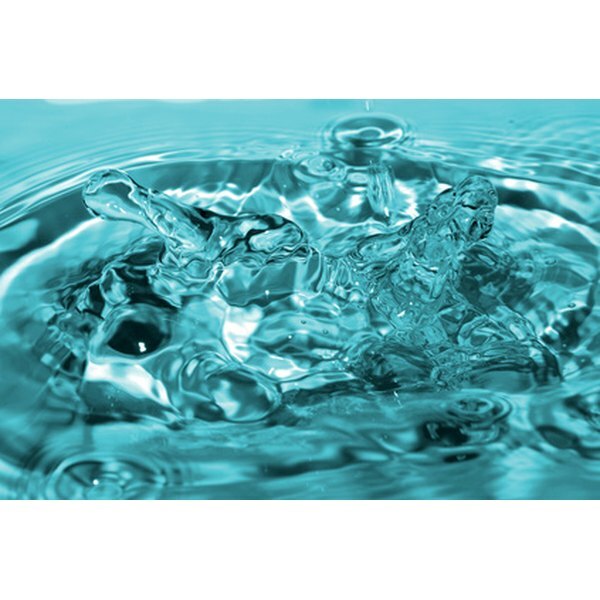 Deionized water is useful for a number of commercial purposes, including the manufacture of cosmetics, pharmaceuticals and water-based cleaning compounds. The pH scale measures the concentration of free hydrogen ions to indicate whether a substance is an acid or a base. As the percentage of free hydrogen ions increases, pH goes up. The pH scale goes from 0 to 14. If a substance is neutral—that is, neither an acid or a base—then it registers as 7. A pH below 7 is acidic, and a pH above 7 is basic. Because pure water is neither an acid or a base, it has a pH of 7. However, pure water does not really exist in nature, due to the ubiquitous presence of minerals and other natural and man-made contaminants. The pH of freshwater in streams, rivers and lakes ranges between 6 and 8, depending on mineral content, temperature, depth and other environmental factors. In theory, the lack of ions means that deionized water should have a pH of 7. However, when deionized water comes into contact with atmospheric carbon dioxide, its absorption of the gas produces carbonic acid, which can reduce the water's pH to as little as 5.5. For this reason, the pH reading of deionized water is usually below 7. When measuring pH of D.I. water, the initial reading should be 7. If it is not, then the measuring instrument is not properly functioning. Some pH meters will not work because they need ions to give an accurate reading. A 7 is the reading before carbon dioxide has its effect. In order to keep the reading at 7 and avoid the problem of carbon dioxide lowering the reading, it is necessary to either keep the D.I. water from being exposed to air or boil the water to remove the carbon dioxide. The correct pH measurement is 7 for D.I. water, and the effect of carbon dioxide should be ignored. Water on the Web: pH—Why is it Important? Why Do We Need Water in Our Diet? How to Tell What My Body's PH Balance Is?